PART 2: WHAT INNOVATION IS ALREADY HERE? It’s no secret that the car industry is struggling to face up to the biggest transformation in its history: connectivity. Steeped in a tradition of long manufacturing cycles and engineering perfectionism, bogged down by bureaucracy, car brands must reinvent themselves and undergo seismic cultural change – and quick. Technology, say many analysts, is the industry’s salve. Depending on to whom you speak – whether they’re a tech expert, from a manufacturing background, or work in a creative agency - what this future looks like is very different. For some, their vision is completely driverless with car ownership an obsolete and ridiculous idea. For others, the joy of driving will never die despite technology. For more, the car will become the central media platform in our busy modern lives. There’s no doubt, however, that connectivity comes into its own when driverless technology goes mainstream. When consumers no longer have to have their eyes on the road to ensure their safety they are free to give their full attention to other things: films, ads, games, each other. That’s when the potential for connectivity explodes and the car becomes an extension of our living rooms. Intel estimates that this new ‘passenger economy’ could generate an extra $200 billion in revenue from associated apps and services by freeing up 250 million hours a year of dead commuting time. This report will consider all the most likely possibilities and weigh up the implications for brands - not just in the automotive sector but also across the board. As cars become a key conduit for connectivity in our lives with 21 billion connected devices by 2020, this will have significant implications for many others sectors from insurance to healthcare as well as the car industry. We’ll look at the innovations already making an impact and those that are predicted to be game-changers, and what these mean for the relationship between cars and consumers. Who will win out? Will it be the manufacturers? The tech companies? The apps? As Chris Hawken, group marketing director of IM Group, which distributes Subaru and Isuzu in the UK, says, no one really knows, no matter how certain they sound: "We’re at a transitional stage between generations. We don’t know exactly how the landscape will look but one thing’s for sure: it will change radically and if you’re not planning for it, you’re in danger. We didn’t predict Facebook or Uber, who knows where we will be in a decade or two?" It’s all very well having the technology to create this automotive sci-fi future, but how are consumers feeling about all this change? Are they ready for it? R/GA London’s executive strategy director, Simon Wassef, says: "The YouTubers posting footage of themselves kicking back, letting their Tesla do the driving, are a small and brave group for now. Most of us aren’t ready for it. Not yet. That said, consumers are tired of paying congestion charges, paying for toll roads and paying for parking – paying, paying, paying – for the drain that cars are on our pockets and cities." Hard online data shows that the consumers currently most interested and receptive to the next generation of driverless, super-connected cars fall into two camps: those interested in safety versus those interested in technology. Safety Seekers: split almost evenly between genders but skewed toward an older 45-year-old-plus demographic, higher income ($100K+), grad school and Asian/Hispanic. More likely to own Volvo, Audi and Subaru vehicles. 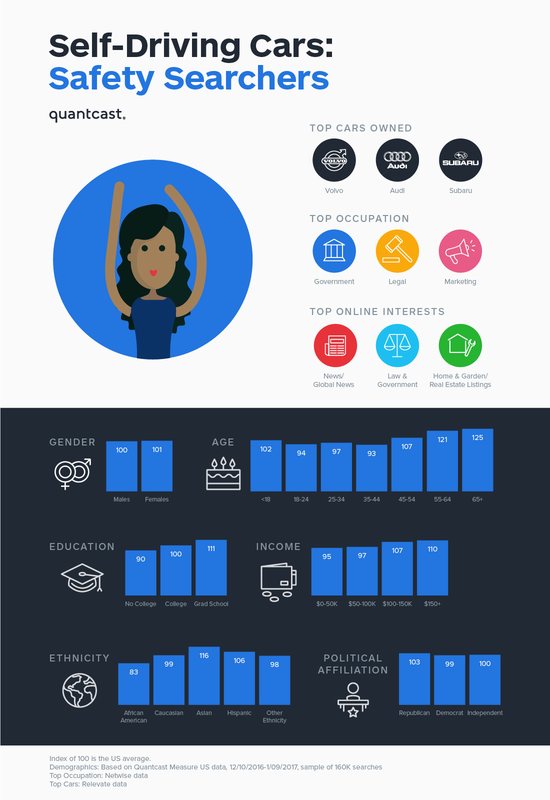 Top occupations are government workers, lawyers and marketing (all interested in legality issues). 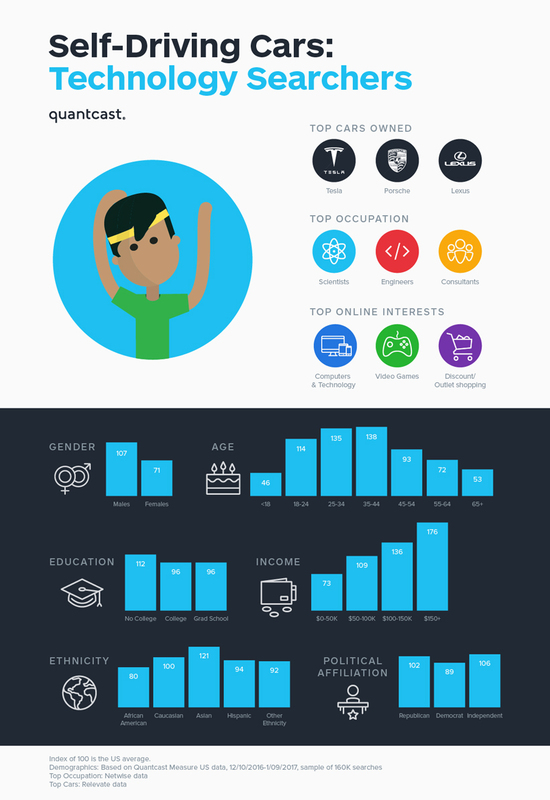 Tech Lovers: early adopter profile, similar to Tesla searchers. Skewed heavily toward males, 18-44 years old, higher income $50K+, grad school and Asian. Top cars owned by the group are: Tesla, Porsche and Lexus. While these groups are the pioneers, experts agree that the mass market will inevitably follow. "The emotional acceptance of the technology will be more tightly influenced by safety," says Nitin Karmarkar, senior vice president EMEA, Globetouch, which specialises in connecting car devices. "And, while it is hard to predict how the rollout will take place, consumers will eventually accept being ‘driven’, just as we have come to accept being driven by driverless trains between airport terminals." Already it’s evident that the consumers most ‘tired’ of the financial toll of cars are the young. Particularly for millennials in urban areas, car brands have lost their position as key status symbols and car ownership is going down. R/GA points to a University of Michigan Transportation Research Institute study showing the percentage of people aged 16 to 44 with a driver’s licence has continuously decreased from 1983 to 2014. "With 16-year-olds, in particular, the decline has been even more conspicuous, from 46% to 24%," says Wassef. "We are potentially about to see a generation of young people who won’t go through the rite of passage that is getting a licence, because for them it already seems odd to buy a car, let alone drive it." To their minds, why would you shell out for a car which you have to find a parking space for, where it will probably sit most of the day unused, while costing you in fuel and taxes? Hence the rapid growth of sharing and on-demand services like Uber and Lyft. Product: The priority for car brands has always been, and will continue to be, that vehicles are safe. However, connectivity and automation open up a whole new can of worms on this front. Marketers are tasked with reassuring consumers that there are effective measures in place to protect them. "The situation with cybersecurity is not very good. Most of the car manufacturers, until recently, underestimated the security now needed in a car," says Andrey Nikishin, future technologies projects director at cybersecurity firm Kaspersky Lab. "We can’t say we have a fully secure car on the market at the moment. Car manufacturers are not very urgently implementing the cybersecurity measures for the new connected car because of their cycle of development, which is usually seven years from conception to release." Promotion: cars have historically marketed their wares by trying to forge an emotional connection with drivers, focusing on vehicle spec and attributes such as speed, performance and the driving experience. In an automated, connected world they will have to sell a new story. Symbols of transport status, for millennials at least, are connectivity, seamless integration of devices, personalisation and instant gratification. 64% of 18 to 24-year-olds, for instance, expect their vehicle’s technology to be able to do all the things a smartphone can, according to a Cox Automotive study. "The best technology is either invisible or hard to explain," says Ben Hampshire, managing director, automotive specialist Carnage Films. "For so long car brands have focused on luxury or performance. Now brands must explain their tech POV. They must make the complicated feel simple. They must tell the ‘benefit’ story (and not the ‘features’ story that engineers love) that feels and looks authentic." Place: where consumers will want to buy their transport from in the future is challenging. Will they want to purchase online? If so, does this spell the end of dealerships? Will they prefer to pay as they go via an app, like Apple or Facebook, rather than a traditional car brand? "At the moment the consumer is making all the effort [to go to a dealership]," says consultant Martin Moll, former marketing director at Honda and Nissan. "Ultimately the value to the consumer is the flexibility and ease they can get what they want, when they want. The brand cachet isn’t the most important element. Value, service and trust are." "What automotive brands really need to be are end-to-end experience companies. But for anyone who has visited a typical car dealership on a Saturday morning, this seems like a massive leap. The experience feels the same as it has for 30 years and the introduction of a big screen TV or an AR app isn’t going to change that." "Customers crave good service. Service that is quick, easy and convenient. Is the service that the big car brands offer their customers in the car purchasing and ownership experience quick, easy and convenient? No. In other words, it’s rife for disruption." Other such as Nikishin agree that car brands will have to sharpen (and speed) up their act in the face of agile, beta-based new entrants: "Absolutely. The car was a mechanical device, now it’s an electronic device. Who is better placed – Apple or General Motors? Definitely Apple. The tech companies are a huge threat." Tesla is leading the charge, showing the cusp of the brand opportunity for cars when connected to technology. 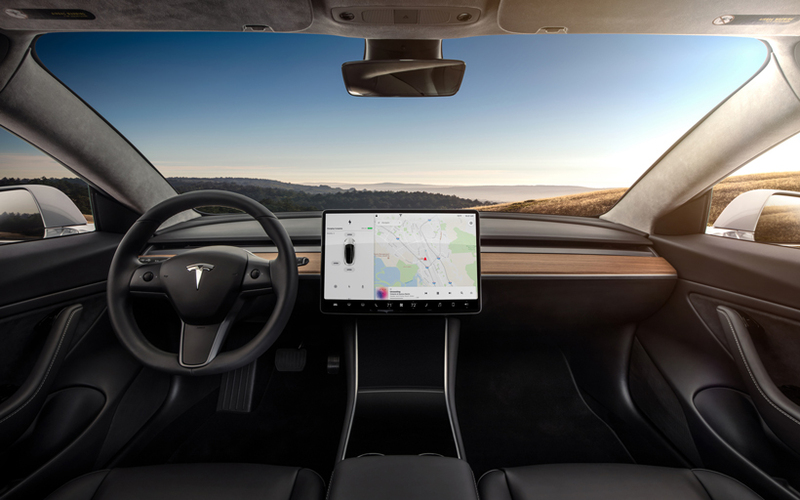 Its electric Model 3 attempts to – as Hampshire advocates – "make the complicated seem simple" through its intuitive touchscreen interface on its dashboard. What does Tesla teach brands? - To keep it simple: not just the interface, but also the manufacturing process too, which was dramatically streamlined for the Model 3. "Tesla teaches us that car retailing can be challenged. It teaches us that servicing and car capabilities can be owned by the driver, and not just by the brand or those servicing the car," says Fletcher. - To take risks. "Tesla’s fearless embrace of technology has further cemented the company’s reputation as an innovative frontrunner in the automotive industry," says Greg Ewert, president, connected car programme, at data specialist Inmarsat. - To look to the smartphone for inspiration. Its latest innovation – over the air software updates – is an example of this, quickly copied by others. - The importance of inspirational, purpose-driven leadership. In the mould of Thomas Edison and Steve Jobs, Tesla co-founder Elon Musk is famed for his relentless perseverance and problem solving, as well as his genuine desire to make a difference in the world by making electric, connected cars affordable. - Many car brands, especially in the luxury sector, now have apps to remotely control functions like locking, heating and temperature. For example, Volvo, BMW, Audi and Mercedes. In the more mainstream market General Motors has its OnStar app. - Nissan launched its Serena model last year with its ProPILOT autonomous drive technology, enabling drivers to switch to driverless at the touch of a button on the steering wheel. ProPILOT is soon to launch on its Leaf and Qashqai models in Europe. - Uber launched driverless cars to San Francisco residents in December. Voice activation will be key to a better user experience and in-car engagement, which is why in-car assistants will become an increasingly powerful tool. Amazon’s Alexa is now at drivers’ beck and call to undertake hundreds of tasks, from playing certain music and to remotely controlling your home, while you’re on the road. 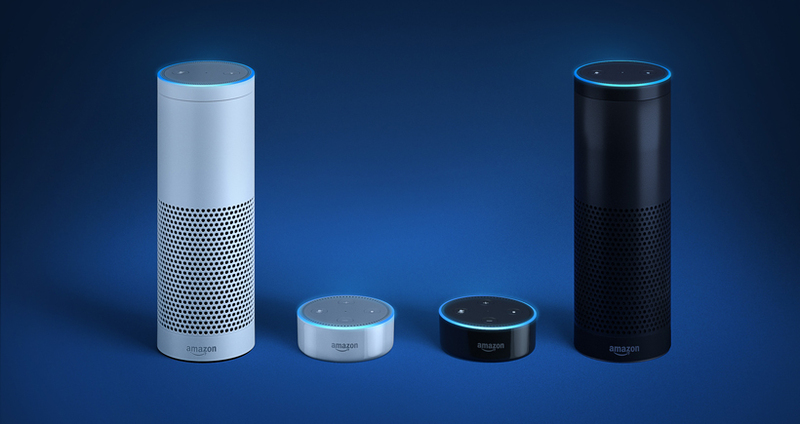 So far, Ford, Volkswagen, Hyundai and Volvo have all announced Alexa integration, which can be delivered via a tech accessory that costs around £50 and a smartphone app. Similarly, Google is working with over 50 automakers on integrating its voice activated Android Auto, which enables access to services like Google Maps and Google Play Music. For Google, the priority is seamless integration and innovating around functions not just because you can, but also because consumers really want it. "Android Auto is a single platform that many developers are already familiar with, rather than a patchwork of platforms from different automakers," says Mickey Kataria, product manager for Android Auto, "So they [developers] can focus on delivering powerful, innovative experiences for users in cars. Last month, Waze became available on Android Auto, and we’ll continue to see more apps that users love appear on the platform. Car brands that innovate and provide users with the features they desire are the ones that will be successful." Microsoft is also forging partnerships to introduce its assistant Cortana to cars, striking a partnership first with Nissan, then Toyota, Volva and BMW. Manufacturers are likely to integrate Cortana differently but possible functions include auto-park, short cut suggestions to destinations and accessing drivers’ calendars. But it’s not just the actual car spec that manufacturers are innovating around – they are also striking partnerships with third parties to address some of the key marketing challenges outside the vehicle, outlined in Part 1. Ford has launched a ‘one stop app’ called FordPass, which enables consumers to find, reserve and pay for parking and schedule repairs and servicing. Chinese ecommerce brand Alibaba has launched a similar service for its connected car, the RX5, called Alipay, which also enables consumers to take selfies and pay for fuel or coffee. "These innovations are ushering in a scenario where the car becomes an app store, connecting to all the lifestyle needs and desires of the driver seamlessly," says Wassef. "We may be entering an era of the ‘Autobnb’, where third party developers can create more, genuinely helpful services." Innovations are springing up to address the fact that cars sit unused for many people, for most of the day - for example the app Lynk&Co, which works by facilitating the sharing of a car between a group of friends/family, as well as lending it out to others. It runs with the tagline: "from full ownership to just a quick spin, you can have all the car you want, when you want… it’s about time car buying adapted to our real lives and our driving needs". Traditional brands are also innovating for a potentially sharing-based future. 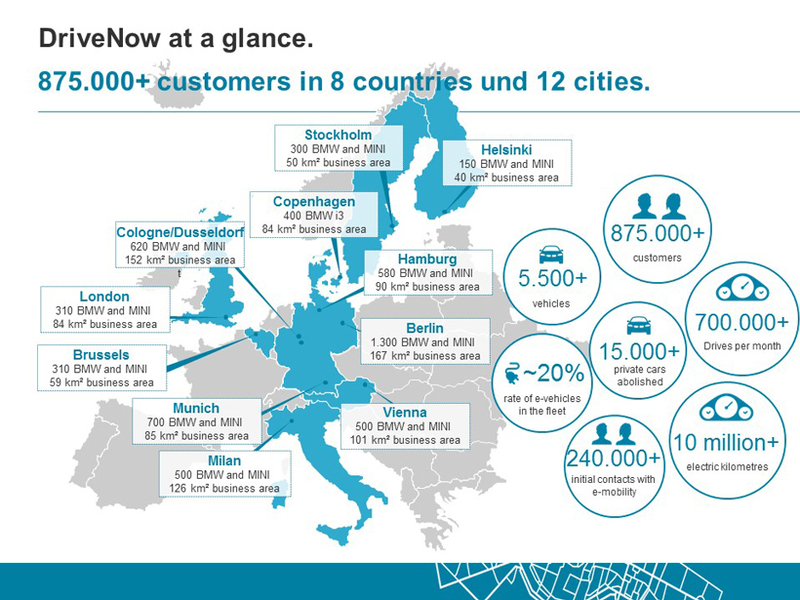 BMW has joined forces with car rental company Sixt to launch DriveNow, which offers up BMW and Minis on demand 24/7. Daimler has a comparable service using its Mercedes brand in selected European and North American cities called Car2Go, as well as its Uber-rivalling app MyTaxi. Nissan has Get’n’Go where multiple people – connected by Nissan – can co-purchase one vehicle. Similarly, Jaguar Land Rover has invested in Lyft and GM has a stake in Maven. "There is still a long way to go before services like DriveNow or Car2Go actually become truly viable for use beyond short, urban trips," says Wassef. "But you know it’s a thing when there’s a debate in GQ magazine on whether UberPool [which matches users with drivers going to same destination] is actually a better dating app than Tinder." Yet, while these innovations are on the right track, much of the promise of the connected car has not yet been realised. Indeed, the first forays into connected cars leave many consumers, even car loving ones like Hampshire, tearing their hair out: "Anyone who's driven a first generation connected car will want to scream. The user experience is slow-witted and awful." His view is backed up by Forrester Research, which shows that connected cars are currently failing to impress with consumers bamboozled by confusing systems, complex menus and issues with device and voice recognition (source: The Retrofit Future of the Connected Car report). To date, innovation has focused on the operational side of driving rather than the potential for entertainment that connectivity brings. However, it’s inevitable that as the technology improves and with the advent of 5G, the focus will shift to creating products and services that enhance the in-car experience and open up a raft of new revenue and partnership opportunities for car brands. Kris Bondi, chief marketing officer at Neura, a firm that uses AI to help businesses better understand their customers and predicts their needs, agrees. She says: "Connected cars that have user awareness - including who is in the car, what their habits are and contextually what is happening in their day – will be able to give relevant prompts. If my usual place to get coffee is Starbucks, I may see Starbucks coffee shops listed on the car’s navigation or I could receive a prompt saying a Starbucks is X distance away." As Ponz Pandikuthira, vice president product planning, Nissan Europe, says: "One of the most exciting changes will be to innovations to the interior layout and user experience a customer will have inside their vehicle. EV, AD vehicles completely change what’s possible on the inside of the car for customers. Sleeping, media consumption, seating configuration, communication…the possibilities are truly intriguing and something we’re excited to launch in the future." Given that connected services are dependent on a solid, reliable internet connection the advent of 5G will be a game-changer. As connectivity improves, analysts forecast that the number of connected cars will jump by 45% from 2014 to 2020, according to BI Intelligence. The Consumer Electronics Show in Las Vegas in January gave a good insight into what future cars will look like; connected cars being such a feature of the show that delegates joked that it should be renamed the Car Electronics Show. Future visions of the car on show, like the BMW i Inside Future Concept, are designed around the fact that, with connectivity and driverless technology, passengers will have more time and appetite for entertainment, interaction and conversation. These concepts are also designed with personalisation in mind, with technology like voice and facial recognition triggering user-based settings in the car and a tailored-to-you dashboard. "That might not seem critical today but in the autonomous car your dashboard will become so much more than just information about your car," says Harman’s Rivers, which showcased its Life-enhancing Intelligent Vehicle (LIV) at this year’s show. In these Hollywood-esque future visions, seats are more comfortable and the touchscreen-tastic interior is more akin to a living room than a current car, with a fold-down big screen dominating in the middle. Hyundai went even further with its more ‘out there’ vision, the Mobility Vision concept, imagining the car as literally a part of the smart home’s living room that can be detached at will when the owner needs to be transported somewhere. Many manufacturers showcased their autonomous tech, adding their own spin on what this could look like. For instance, Toyota presented its Concept-i car complete with integrated artificially intelligent robot Yui whose ‘warm’ personality is supposedly conveyed through features like ‘blinking’ headlights. Honda presented its NeuV concept built around the sharing economy, which is designed to automatically pick up passengers when its owner doesn’t need it. This also incorporates tech that analyses driver mood and reactions in order to suggest driving tips or music recommendations, a growing area of focus for all manufacturers. To top it off, it also comes complete with integrated electric skateboard. While some of this tech seems slightly ridiculous and over-the-top much of it is, actually, almost ready for market. "The technology for all of these features is now production-ready and some connected cars we are supplying now have the first or second generation of these functions," says Rivers. "With greater autonomy predicted for 2020, you can expect to see demand make a step change for such personalised services. The biggest delays will come through waiting for legislation and consumer acceptance to catch up." Other commentators, such as Boston Consulting Group, are more conservative (and probably realistic) in their estimates, suggesting that it won’t be until at least 2040 until self-driving cars reach critical mass. The car of the future will use powerful artificial intelligence systems to memorize and store information about every passenger's likes and dislikes, how they speak, and the places they frequent, all to make decisions the car feels are in the rider's interest. In others words, cars will be collecting a phenomenal amount of data, with some estimates suggesting the amount will be in the region of 25GB per hour per car. This, arguably, brings car brands closer than ever to the consumer who, historically, they have only had a reason to engage every few years around a purchase. Chris Hollis, product manager BMW ConnectedDrive, options, technology and strategy, says: "It has moved from just an initial purchase with set servicing intervals through to an on-going relationship with the manufacturer where connected services can be tailored and personalised on a monthly basis to suit the customers plans and schedule." The theory is good. But there are many observers sceptical of whether car brands have what it takes culturally to make the leap. For starters, manufacturers do not have a reputation for the agile, nimble, non-hierarchical working practises that are the status quo of preying tech giants like Apple, Google and Amazon. Neither are they known for their openness with other companies. They will need both if they hope to succeed in holding onto the central relationship with the consumer, while simultaneously inviting other brands into the driving seat. "The biggest concern for car brands is the risk that their role will become diluted; that they will be responsible for the production of the car chassis, and that the software interface with the customer will be owned by the technical and retail giants," says Fletcher. "Why can’t the car manufacturers provide this interface? The answer is simple: their culture, which makes change difficult." However, according to some automotive partners, like Direct Line, change is afoot. "We’re starting to see much more openness about sharing data," says Dan Freedman, director of motor development. "I’m talking to four major manufacturers about accessing data for purposes of creating and supplying products to Direct Line customers and I’m quite confident we’re going to find ways to do this." Connected cars can potentially play a significant role in not only determining what happened in an accident for insurers, but dramatically reducing their occurrence, as well as impacting how the vehicle is repaired. And it’s not just insurance that this technology could revolutionise - it touches on many and varied sectors including retail, computing, mobile phone, health & safety and social networks being obvious candidates. In healthcare, for instance, car brands are already working with healthcare experts to develop technology that monitors driver/passenger health. "The future could see cars become key health monitors, offering a range of benefits, from acute trauma prevention to managing chronic diseases," says Chris Kreinczes, consumer behavioural analyst, Canvas8. "For example, if the car is monitoring you, it could pick-up on lost motor function and act appropriately, perhaps safely bringing the car to a stop." Given that the car is about to be transformed into a media hub with a captive, known audience it’s now relevant to any brand that wants to get its message in front of a targeted audience. 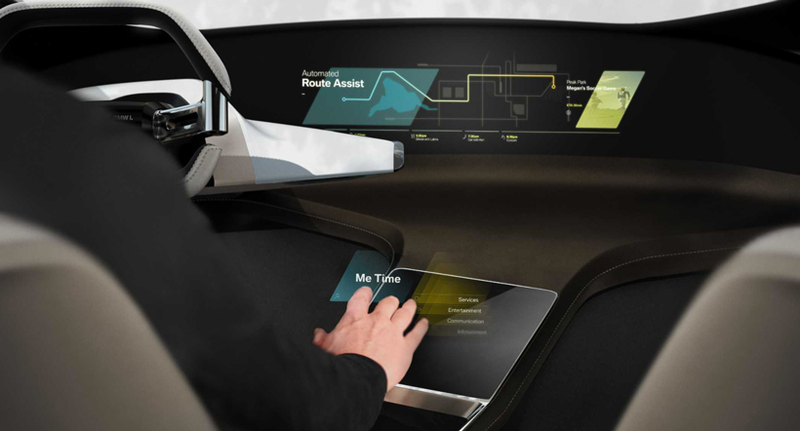 In many driverless connected car concepts the windows become panels for content projection, potentially for more engaging, personalised ads using technology such as augmented reality. It’s, frankly, mind-blowing. You could drive past a restaurant, for instance, and have the menu display on your car window. Or you could pass a shop and be given tailored sales offers. Basically, think current out-of-home advertising on steroids. With younger generations showing less interest in driving and car ownership, it’s likely they will inevitably become less interested in which brand actually delivers their transport experience: priorities for them will be connectivity, value and efficiency. In-car technology is already increasingly more important to consumers than brand - at the moment, nearly half would prioritise it over brand and style in their next car purchase decision, according to Autotrader. The other side of the coin, argued by some like Canvas8, is that as owning cars becomes less common this will increase their significance and symbolism. Cars for individual use will become luxury items, says Kreinczes, pointing to the Rolls-Royce 103EX concept as an example of living in the ‘lap of [driverless] luxury: "This is a serious statement: there is still an opportunity to be able to fetishise around the car, there is still an opportunity to make it a marker of success." Indeed, luxury car brands like McLaren, which have previously marketed around the driving experience, are planning for a driverless future by focusing on the new scope for entertainment. As Jolyon Nash, executive director, global sales and marketing for McLaren Automotive says: "McLaren provides entertainment not transport. We will be as relevant in a world where the routine is managed autonomously as we are now, because we see two scenarios in relation to the connected car/autonomous vehicle opportunity - our cars could be single purpose in providing entertainment or dual purpose with autonomous functionality where required for safety or environmental reasons. Ultimately, we will give drivers a choice." This double-pronged approach is also the case for BMW, says Hollis: "The average commuter will spend 216 hours in a vehicle per year. 30 hours of this time will be spent in traffic (up to 90 hours in London). BMW sees that there will be times when the consumer will want to drive and then times when they can be more productive by allowing the vehicle to take control via autonomous driving." The connected car revolution offers car brands huge opportunities if they can prove to consumers that they can step up and deliver better, quicker and more intuitive service. This is a big ask for an industry with a heavy, albatross-like legacy. It will mean shortening production cycles, playing nicely with data and overhauling culture. But now is crunch time for car brands: the next few years will be crucial in shaping their future rise, or demise. If they can’t step up, then there are plenty of (tech) brands waiting in the wings eagerly that will. BMW’s Hollis has no illusions about the task ahead. He, for one, knows the future is promising, but challenging: "The future of automated driving promises to change lives and societies for the better. But the path to get to a fully autonomous world is complex and will require end-to-end solutions that integrate intelligence across the network, from door locks to the data centre. Transportation providers of the future must harness rapidly evolving technologies, collaborate with totally new partners, and prepare for disruptive opportunities." As for whether the connected car is the first step to a life automated, many believe it is. But, again, brands must tread carefully at this pivotal time. As Wassef says: "How brands behave with the data at their disposal, how they create products, services and communications that really improve people’s lives and enable those brands to participate in culture, will determine how they go in this brave new world. So, to our fellow marketers we say: strap yourself in, hold onto the wheel and drive – or don’t. It’s totally up to you."